The three-month span from June to August is always the worst season for Americans. It’s a season of armpit sweat; a time of searching for shade or air conditioning. Those complaining that it felt like this summer sucked even more than usual weren't imagining it, the summer of 2018's hellacious heat set a new record. 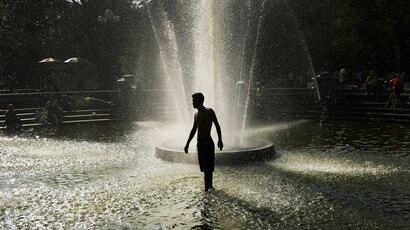 U.S. summer nights were the hottest ever recorded, according to data released on Thursday by the National Centres for Environmental Information. Factoring in daytime highs, summer 2018 came in as the fourth warmest on record for the U.S., with temperatures 1.1 degrees Celcius above the 20th century average. Every summer in the top 10 has occurred since 2002.